We can add your script with updated translations into the ZIP file. This is a real life example of a template used by a Foreign-Language Group. It is a modified S-140 template. Please read this help topic to learn more about this actual script and the changes that were made. You may download and use it if it fits the needs of your congregation. You can read more about the Foreign-Language Group mode that was introduced in Meeting Schedule Assistant v19.0.8 here. 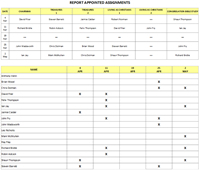 This is custom report of appointed assignments. 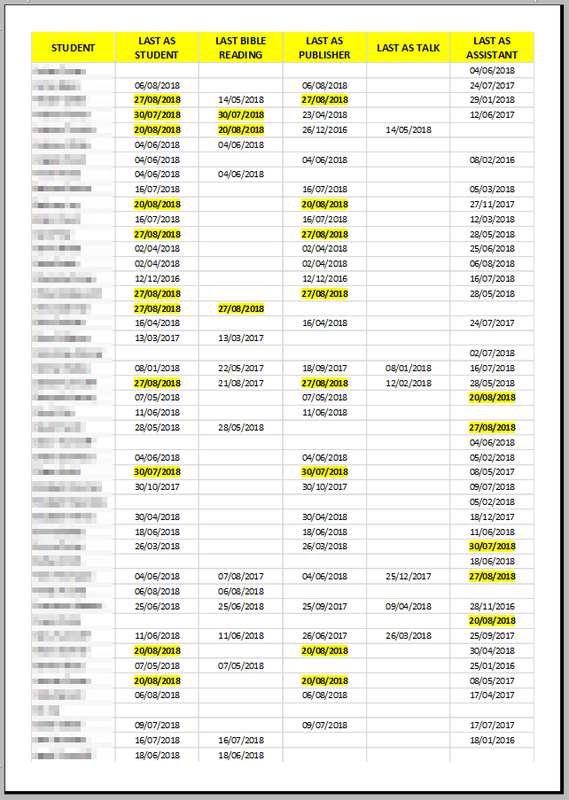 First table shows the brothers assigned each week for each assignment. Second table shows brothers assigned for each week. 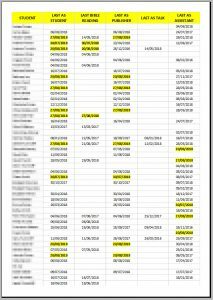 This custom report is useful for last minute substitutions: you can see quickly which brothers are free and their assignments in the coming weeks.